Clever Endeavour Games is a Montreal based independent game studio. 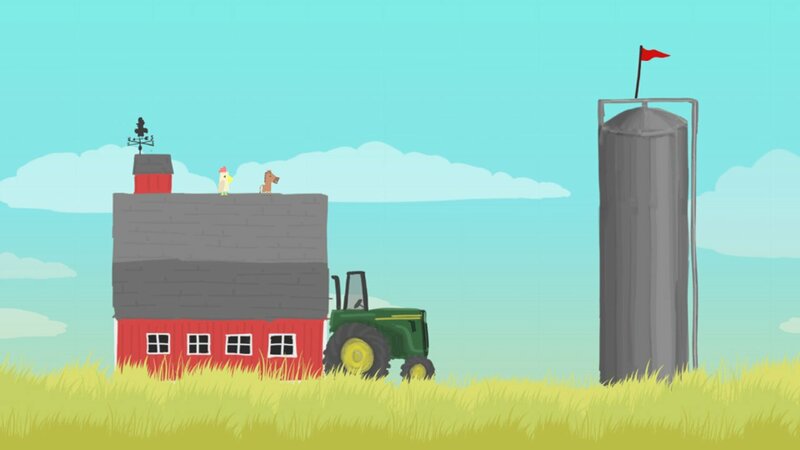 Made up of three members, the team has been doing everything they can to make their game Ultimate Chicken Horse the “ultimate party game”. Richard Atlas, the Game Designer, and Marketing and PR representative, took the time to talk about the company’s origins and the process of making a game. 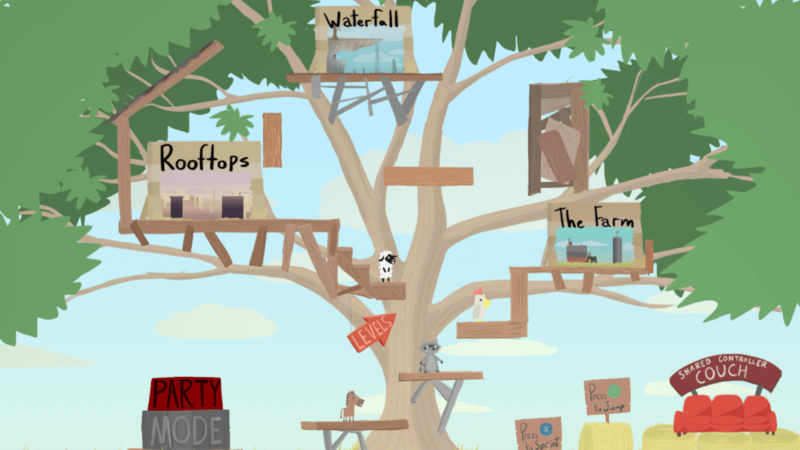 Comics Gaming Magazine: What was the inspiration for Ultimate Chicken Horse? The initial concept came as a dungeon kind of game where we build the level and then an AI runs through it and you’re sort of playing God. We realised that’s way too huge for a game jam. 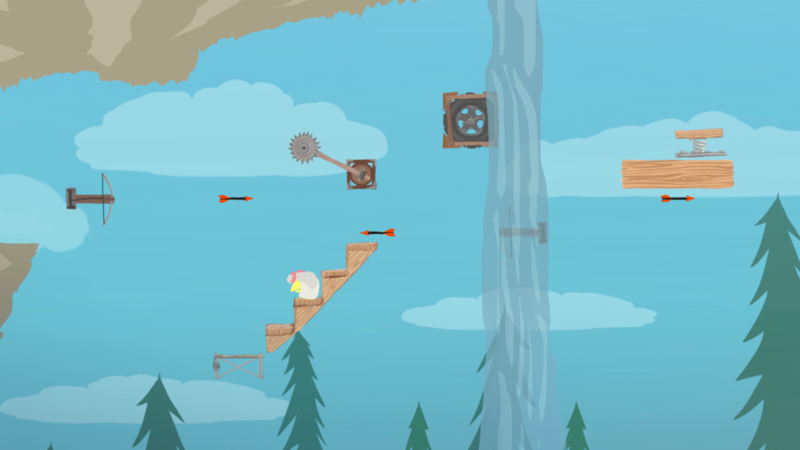 We go with this game platforming mechanic where you build the mechanic instead of the level being set for you. So that’s sort of where the inspiration came from. 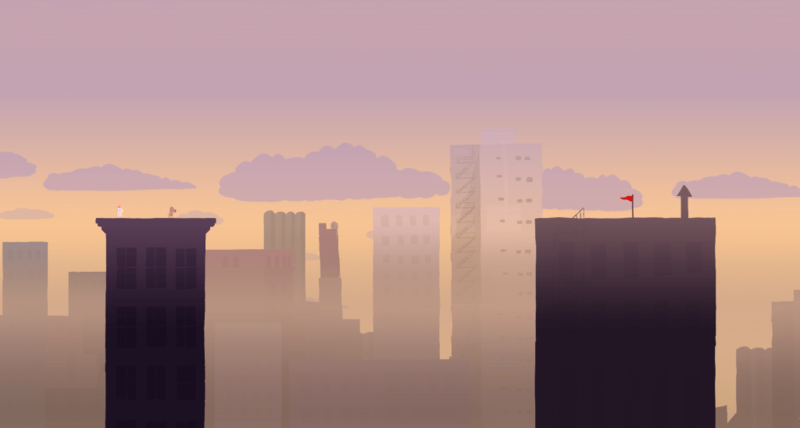 CGM: What sort of challenges do you face as indie game developers? The other thing is visibility. Because there’s so many people doing so many things, whether or not they’re good is neither here nor there, but the point is just getting your voice heard is very difficult. We have been going to every single possible channel we can imagine to do that. There’s the usual Twitter, Facebook, been using Reddit, different online forums, YouTube. We started doing podcasts, SoundCloud, we just set up an Instagram account, so basically anywhere we can get the word out, we’re doing that. Even then, we haven’t gotten a big press article, we haven’t gotten anything huge yet except for a big YouTuber who played the game. CGM: I know you’ve been in touch with Sony, what can you tell me about that? RA: We went to GDC this year and got in touch with Microsoft and Sony when we were there. They both showed interest on getting the game on their systems, but that’s very much the first step. So our next step is getting development kits, and then starting to develop for one of them or both of them. In our case, we are either going to go with who’s better with us, so who’s better to us, so whoever’s easier to work with. The other thing is we’ve been talking to some partners, some publishers, and through them we could more easily get onto both consoles, either at once or separate times. That’s sort of where that stands right now. Our focus is really the Kickstarter, then getting the game up to the quality there needs to be so it can be the party game of the future. CGM: You give your audience lots of opportunities to voice their feedback. How has that helped you in the development process? RA: It hasn’t been bad. I think we haven’t gotten as much feedback as we’d like because our community is still quite small, but we definitely have some people who are very very passionate about the game and they’re suggesting different block types, different game modes. Beyond that, the Montreal game development community has always been very supportive. But they’ve also helped in the sense of we’ve had people who are game designers at big companies here in Montreal talking to us about game flow and point systems and things that are much more technical than the average fan, so that’s helped a lot too. But I think moving forward the key is going to be community. Not only do we need people to give us feedback, but we need people to foster a community themselves. A people created community that is run by fans, that is for fans. Right now it’s quite early. CGM: Players are able to create their own levels for others to play. Are you going to curate that and if so then how? RA: We got Greenlighted on Steam, so, at least on PC, we’re going to let steam take care of that through the Steam Workshop. So the idea is that a player will make a level and then they will quick upload to Steam Workshop and when you’re on Steam Workshop you’ll download it and play it. It won’t be curated so much as it’ll be ranked, so, we’re going to rank things based on difficulty, in two ways. CGM: It sounds like you took a lot into consideration while making this game. 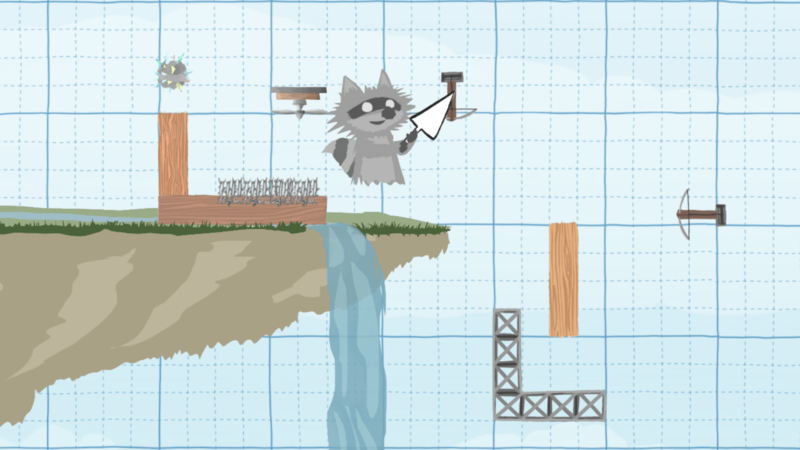 RA: We need to make sure that the game has depth, so yes, it’s a platformer, yes, you have to build the level, but what makes you want to come back after 50 games? The discovery of new opportunities and possibilities of combinations is something that we want people to see and be like, “Oh, I’ve never seen this before even though I’ve played this game for 20 hours.” The fact that the game is designed by the players makes it partially that, so you’re never going to get a similar level twice, and based on who you play with the level design is very different. We’re working on some stuff that, including the adventure mode is going to be one player or co-op, and that’s going to be more of a puzzle mode and there’s going to be a little bit more involved there so there’s going to be a little more depth in the sense of your goal’s not only going to be getting from point A to point B, but there will be bigger goals, so discovering new characters, unlocking new worlds, things like that. 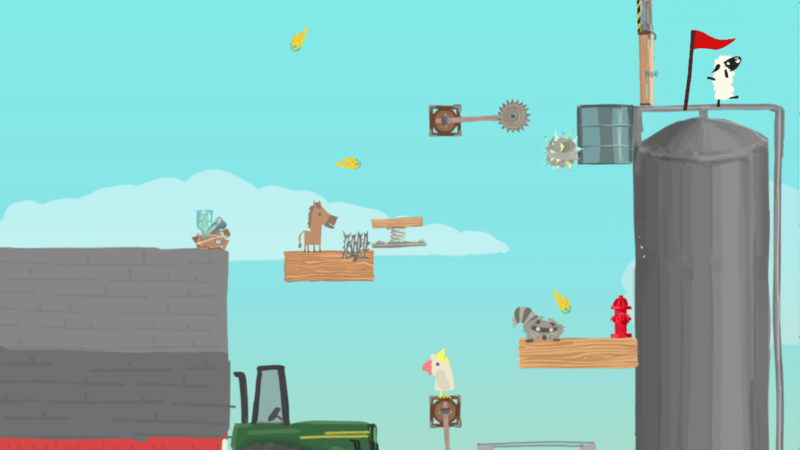 To find out more about Clever Endevour Games and Ultimate Chicken Horse, you can check out the company’s page here.